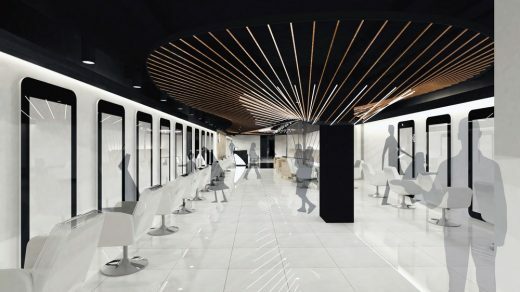 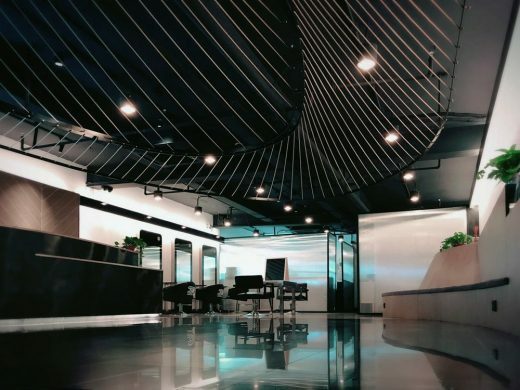 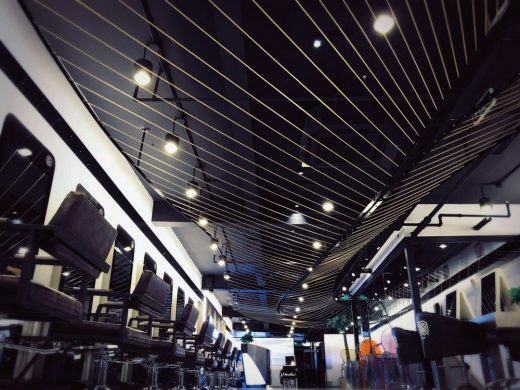 From the Studio of AaaM Architects, Hong Kong Hair Consultant (HC) is a Hong-Kong established hair salon for 30 years. 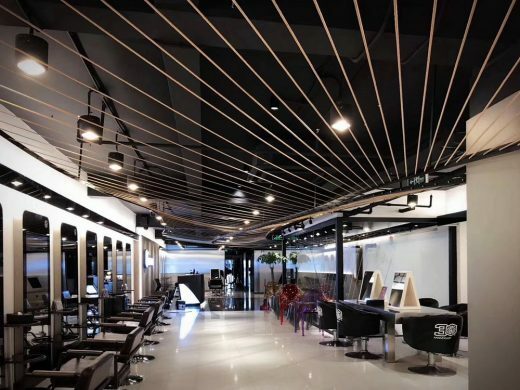 Currently having 20+ branches in the city of Shanghai, the salon is urgently in need for a precise rebranding exercise to align the ever-changing and growing retail market in mainland. 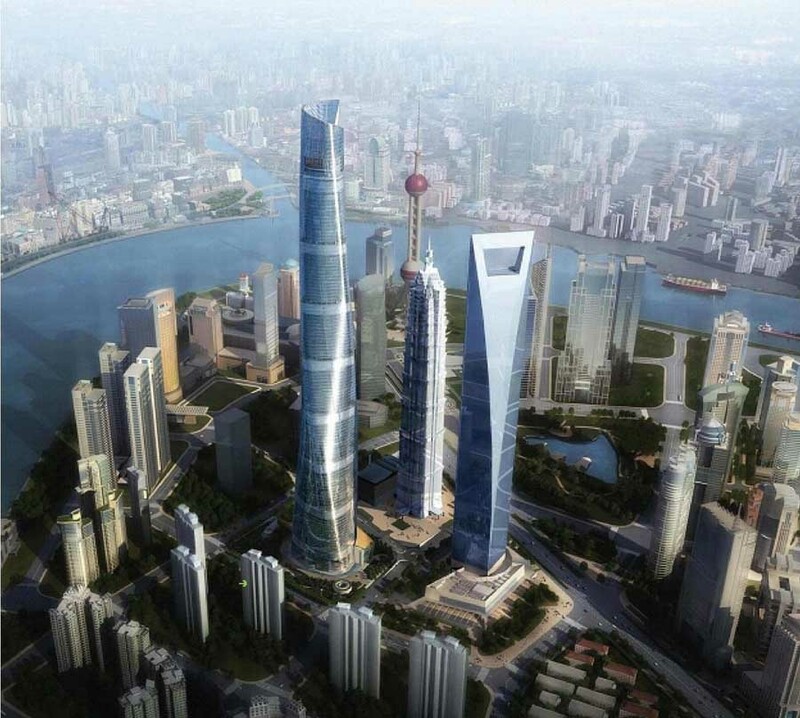 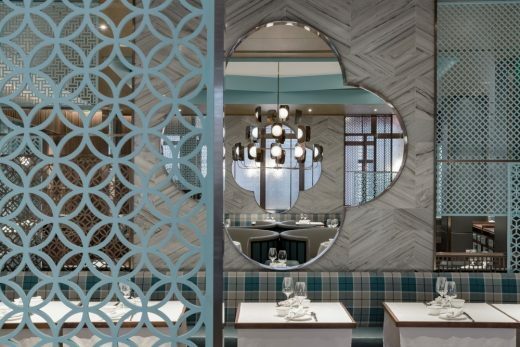 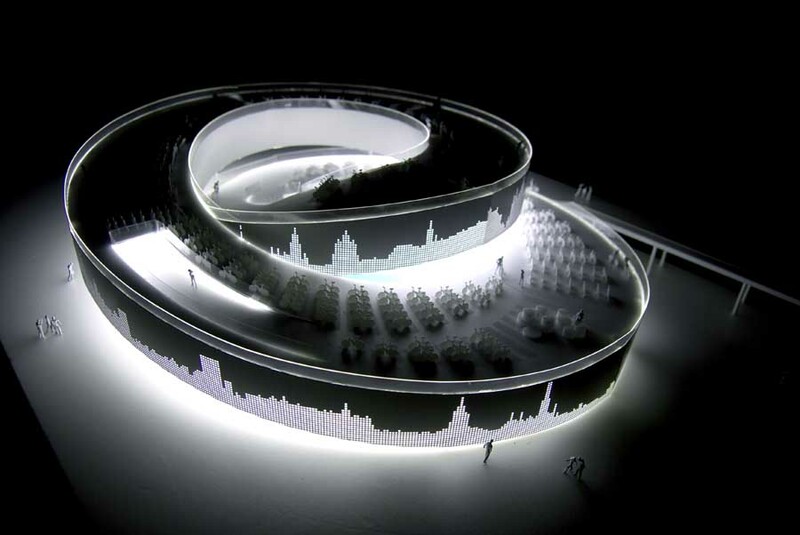 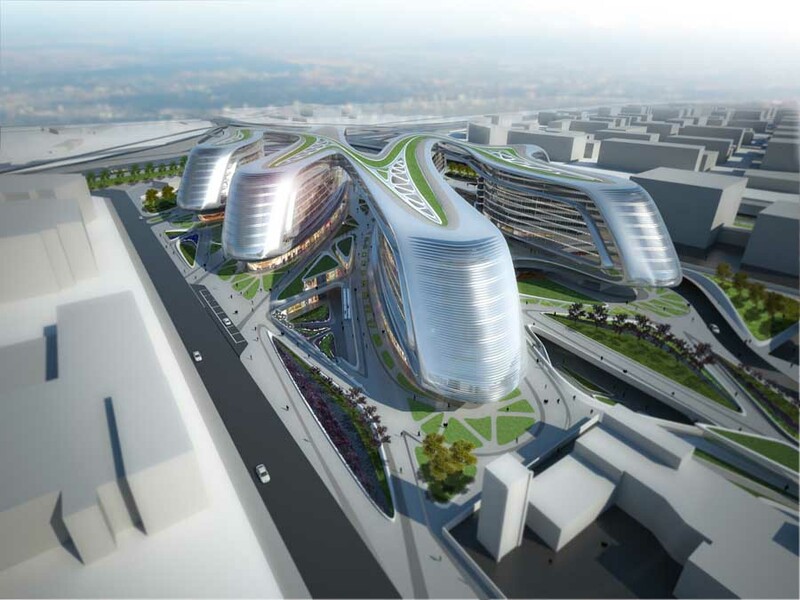 AaaM Architects was appointed to be the chief designer for the revamping project. 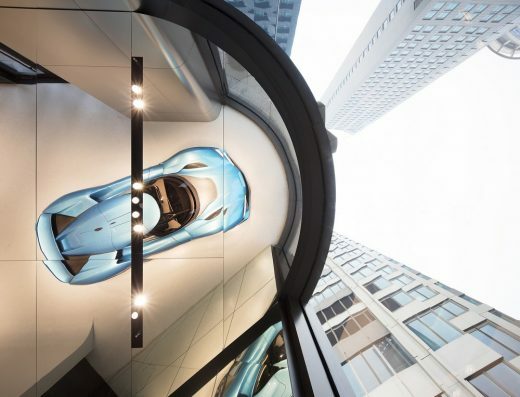 The first store to be revamped located on XianYang South road next to iAPM, the luxury shopping mall in Central Shanghai. 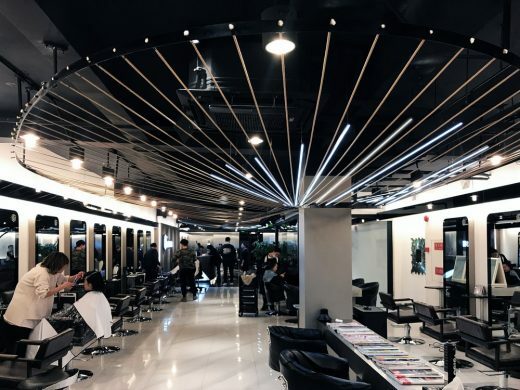 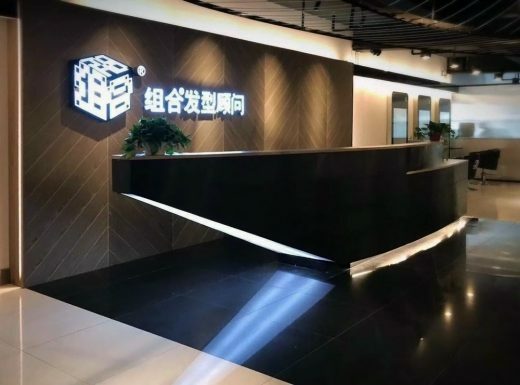 Being HC group’s flagship store in operation, the challenges lay mostly on minimizing their renovation pressure (both in time and scope), however maximizing the revamping effect for a fresh-looking store. 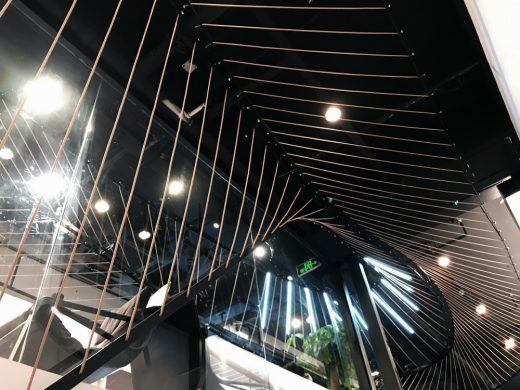 With a duplex retail space of approximately 200 sqm, our design approach to this store mainly focus on inserting a mega ceiling installation, continuously floating from ground floor entrance to the space on upper floor. 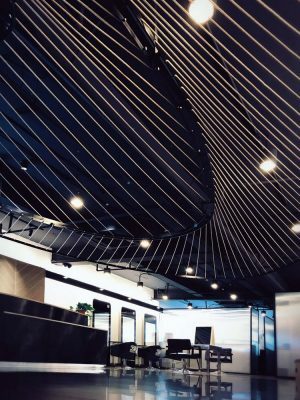 Taking from inspiration of hair form, the installation is an artistic expression by copper-color nylon rods (total length of 1000m) fixed end to end by a free-form and undulating steel plate. 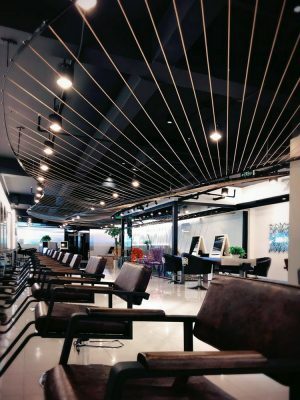 LED light tubes spread across two different ends at the main space, defining the reception and hair-dressing area. 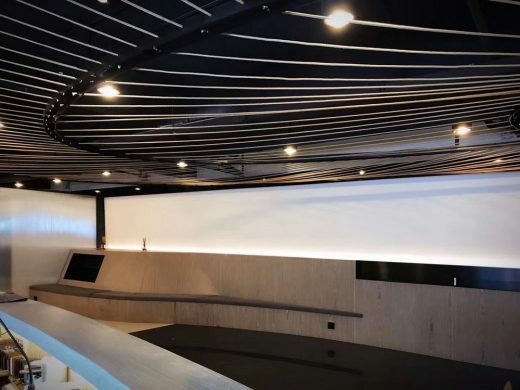 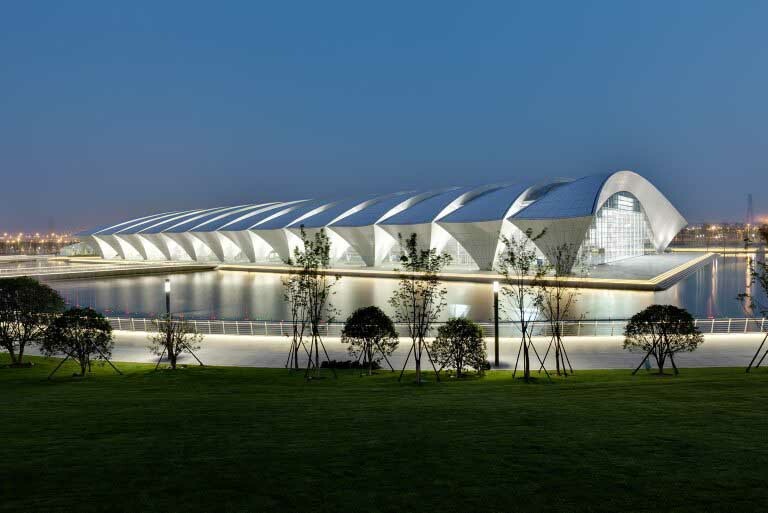 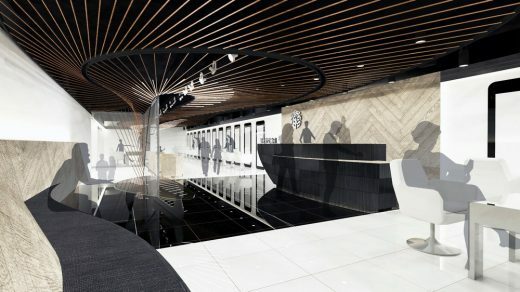 Other renovation works include redefining the reception desk, guest waiting area and hair-washing area, all these elements following the curve logic designed from the parametric-design ceiling above, adhering a uniform design approach.